Intertrade Steel Corporation is a regional distributor of all types of coil, sheet, plate, bars, stainless, aluminized, and mechanical and structural tubing products. Founded in 1975, the company serves the steel material needs of satisfied customers throughout Iowa and surrounding states. Our office, processing center and warehouse are located in Cedar Rapids, Iowa. Over the past few years, Intertrade Steel has enjoyed steady growth. We attribute our growth to the full line of services we provide, including custom work on any size project. Intertrade Steel has the financial resources and space available to warehouse your inventory until you need it. 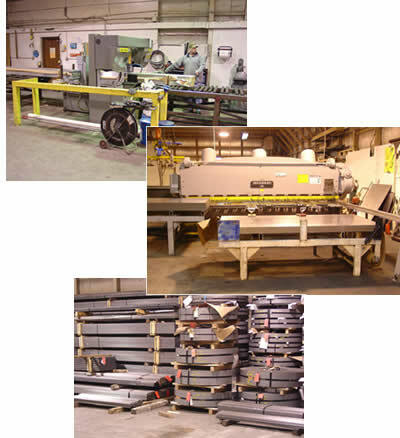 In addition, our "Just in Time" delivery system keeps your production on schedule. Most important, Intertrade has a "Statistical Process Control" system in place that provides state of the art precision processing to meet our customer’s exact specifications on any size job. Our sales force and warehouse staffs have all attended SPC classes to obtain certification. At Intertrade Steel, we are committed to providing the best material at the best price on a timely basis to give our customers the competitive edge in their marketplace.